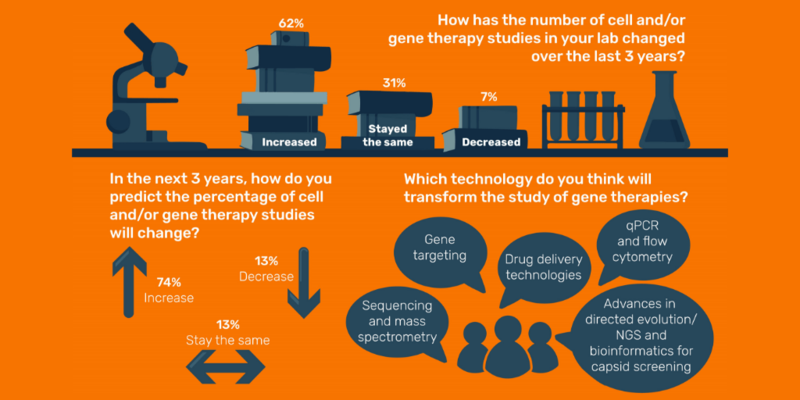 As part of our mini-Spotlight on cell and gene therapies, we carried out a survey to gain an insight into the trends, challenges and developments associated with these fields. We would like to thank everyone who was able to share their thoughts by taking part in the survey – you can see the results below in our infographic. DON’T MISS the panel discussion, where our experts will be discussing the results of the survey and more about cell and gene therapies.